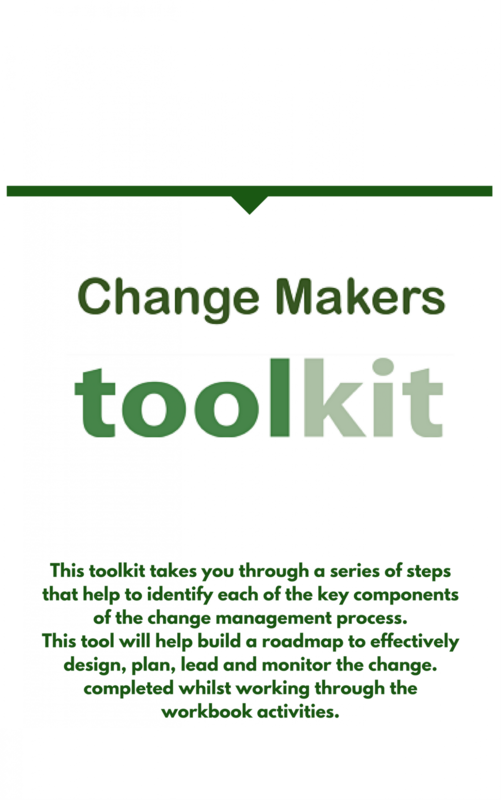 The change makers toolkit guides you through a series of steps that help to identify each of the key components of the change management process. Section One contains the Change Management Plan. A series of templates broken down into the three stages of change. It comes complete with guidelines,processes and checklists to help you analyse the change for successful implementation of your project. Section Two contains a Change Readiness Assessment and a project plan that can be completed whilst working through the workbook activities.